Time for me to make a dramatic understatement: Approaching the Bible can be intimidating. Even now, with 10+ years of theological higher education under my belt, I have to be honest and say even I still sometimes get intimidated! But anything worthwhile is rarely easy. And though studying the Bible can be challenging, it also reaps eternal rewards. It’s God’s Word to us, and in reading it we encounter the character and promises of the God of the universe. If it all seems tough to understand at first, just remember: that’s to be expected, because the Bible is about something much bigger than our limited understanding or experiences. We all need a little help learning how to approach this book – the book of books, the record of God and his plan for our world. That was certainly true for me when I first started out on my journey of faith. I knew the Bible was God’s road map for the journey, but I also needed experienced guides to help me learn how to read that map and understand how it works. Here are a few of the guides I’ve found most helpful for learning how to study, interpret, and understand the Bible. 1. Living by the Book: The Art and Science of Reading the Bible by Howard Hendricks & William Hendricks. This brilliant book is a fantastic starting-place for anyone looking to learn how to study the Bible. I worked through it before entering seminary and found that it laid a valuable foundation for me – indeed, my first-semester Bible Study Methods class pretty much just reiterated what Living by the Book had already taught me! 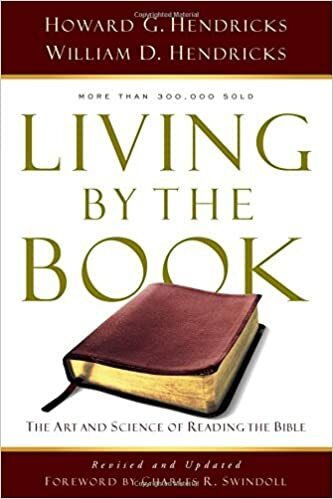 Living by the Book is very practical, eminently readable, and includes simple exercises in each chapter that, if you do them, will definitely improve your study of the Bible. It’s worth your time because it will help you approach the Bible with a plan – a simple, reliable method that will make your Bible-reading effective, transformative, and enjoyable. 2. 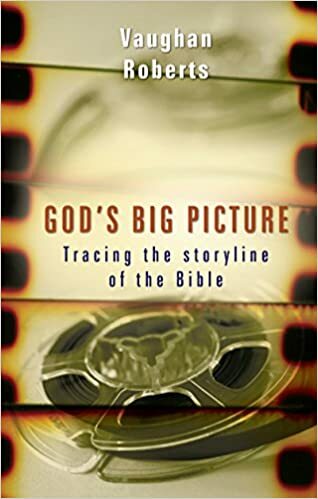 God’s Big Picture: Tracing the Storyline of the Bible by Vaughan Roberts. If Living by the Book will give you a plan for unpacking the details of Scripture, God’s Big Picture will help you grasp – well, the big picture! Roberts’ book is a bit like a “CliffsNotes” on the Bible; it summarizes the overall plot of Scripture so you don’t lose sight of the forest for all the trees. If you’ve ever tried to read through the entire Bible and gotten lost or stuck because you couldn’t figure out where it was all going, this is the book for you. God’s Big Picture will help you make sense of how all the parts of the Bible (yes, even all those laws and genealogies!) all come together to tell the one story of God’s plan for the world. It will introduce you to the major themes that tie Scripture together, such as God’s kingdom, his promises/covenants, and salvation through Jesus. It’s a short but helpful read; definitely check it out. 3. 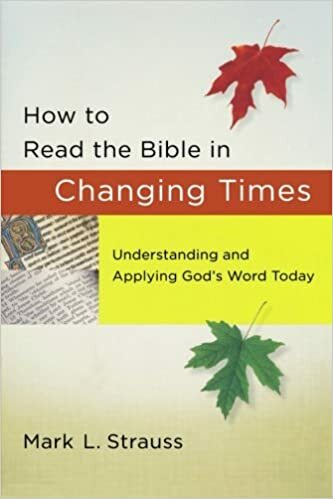 How to Read the Bible in Changing Times: Understanding and Applying God’s Word Today by Mark Strauss. Whenever my students have questions about a difficult verse of the Bible, my response is typically going to be, “Let’s look at the context!” Context is key to understanding any book, and that includes the Bible. You have to understand what each thought or passage meant in the context in which it was originally written. That’s why I love Strauss’ book – it’s all about helping you grasp this concept of context in a deep and relevant way. How to Read the Bible in Changing Times will help you work through the challenging art of interpretation, giving you a framework for approaching matters like the Bible’s ancient cultural context, its literary dimensions, and issues of worldview. One of the most valuable parts of the book is its eighth chapter, which offers useful criteria for interpreting culturally difficult passages (for example, Sabbath laws, commands regarding sexuality, and the issue of women in leadership). Not only will it help you understand the tough passages of Scripture, but it will also prepare you to engage many of the questions non-believers are currently raising about the Bible. It’s definitely worth a careful read. That’s my top three – one book on exegetical method, one on the overall storyline of Scripture, and one on hermeneutics (the science of interpretation). These three books together will, I believe, give you an excellent and balanced foundation with which to approach the study of Scripture. If you want to go even deeper, I’ll give a couple of “honorable mentions” below. Also, if you’re new to the Bible, be sure to check out my previous posts, Recommended Resources for New Believers and A Simple Strategy for Effective Bible Study. 1. How to Read the Bible for All Its Worth by Gordon Fee & Douglas Stuart. A good “one-stop shop” on studying the Bible. A little on the longer side, but definitely an excellent resource. If you’re already fairly familiar with the Bible but want to go deeper in interpretation, you’ll enjoy this one. 2. The Drama of Scripture: Finding Our Place in the Biblical Story by Craig Bartholomew & Michael Goheen. Think of this book as “God’s Big Picture on steroids.” It’s designed to be used as a college textbook, so it’s a lot more in-depth, but if you’re wanting to dive deep into how Scripture works as one interconnected story, this book offers a lot of valuable insights. Let me know if you find this list helpful! If there are other Bible study books you’ve found especially helpful that weren’t on this list, by all means share them in the comments!